On Thursday 08-13-2015 at 2:22 PM, Lapeer County Sheriff’s Deputy Nick Vandenberg responded to the intersection of Lake George and Newark Road in Attica (Lapeer County’s Attica Township) for a multiple vehicle traffic crash involving a motorcycle. Deputies determined that Elmer Lumsden age 78 from Dryden was traveling northbound on Lake George Road. Elmer Lumsden was the lone occupant in his 2002 Chevrolet Malibu. Elmer Lumsden disregarded the stop sign at Newark Road and entered the intersection in the path of a 2000 Jeep Cherokee traveling westbound on Newark Road driven by Jacob Mueller age 21 from Metamora. The initial collision was broadside and vehicles traveled to the northwest quadrant of the intersection. Guy Palmer age 60 from Metamora was on a 2004 Harley Davidson within the northwest quadrant of the intersection. Guy Palmer previously traveled southbound on Lake George Road and was stopped for the Newark Road stop sign when the initial collision occurred. Guy Palmer was struck by Elmer Lumsden’s vehicle as it departed the roadway. The vehicles driven by Elmer Lumsden and Jacob Mueller overturned before coming to rest. Guy Palmer was ejected off his 2004 Harley Davidson. 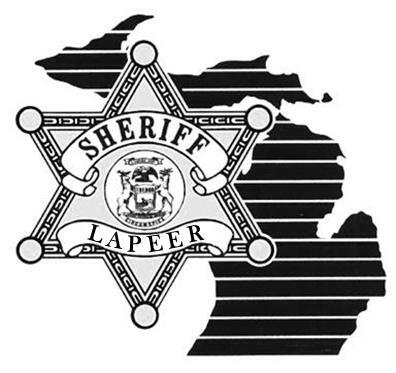 Jacob Mueller and Guy Palmer were transported to McLaren- Lapeer Region for non-life threatening injuries. Elmer Lumsden was pronounced deceased on scene and extricated from his vehicle by Attica Township and Imlay City Fire and Rescue. Preliminary investigation does not suggest that excessive speeds or alcohol are contributing factors in this traffic crash. The intersection was closed for about three hours for rescue and investigative purposes.